The Orkney islands of Westray and Papa Westray were among the winners in this year's SURF Awards for Best Practice in Community Regeneration. The SURF Awards are delivered each year by SURF, a regeneration forum with over 280 cross-sector member organisations across Scotland, in partnership with the Scottish Government. The purpose is to highlight, celebrate and share the achievements of initiatives that address physical, social and economic challenges in communities across Scotland. The Community Regeneration Award was won by the Papay Community Cooperative. The Cooperative aimed to rejuvenate an economically challenged remote island community by establishing a social and economic hub. Scotland's Most Improved Place Award went to Westray. 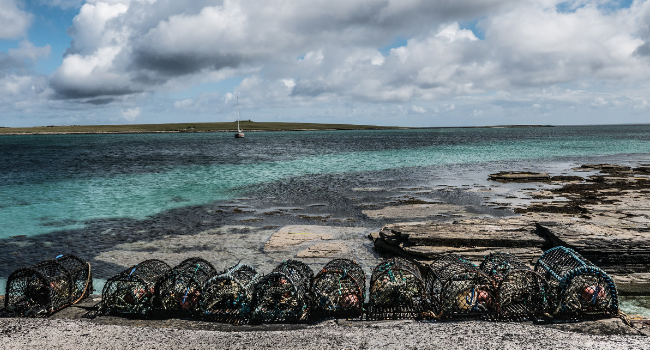 Westray Development Trust’s mission is to develop the economic, social and cultural sustainability of Westray by harnessing the quality of its resources, people and island environment. The island has become known for its hands-on approach, and self-sustaining community. Findhorn Bay Arts in Forres won the Creative Regeneration Award, the Housing Award went to Chapelpark: A New Beginning in Angus and the Youth Employability:Overcoming Barriers Award went to the Pathfinder Programme in Glasgow. Representatives were congratulated by Aileen Campbell MSP, Cabinet Secretary for Local Government and Communities on 6 December 2018. "I am delighted to be involved with the annual SURF Awards for the first time, as it celebrates its 20th anniversary. The shortlisted applications are an inspiration and testament to what is possible when communities are empowered and proactive in shaping their own futures. The SURF Awards remain an outstanding platform for identifying and showcasing successful community regeneration across Scotland." ​Visit the SURF website to find out more about the awards.